Catholic faithful will celebrate the upcoming canonizations in Rome of Blessed Paul VI, Pope, Blessed Oscar Arnulfo Romero, Archbishop of San Salvador, Martyr, two Italian priests, two women religious (German and Spanish) and a young lay Italian orphan boy, who will all be proclaimed saints by Pope Francis in Rome on October 14 with celebrations at a variety of parishes in the Archdiocese of Los Angeles. Several events highlighting the life of Blessed Romero, including a movie premiere at the University of Mount St. Mary (Oct. 5) and vigils and Masses in his honor, will be held at several parishes of the Archdiocese October 10-14, including a special Mass in Spanish celebrated at the Cathedral of Our Lady of the Angels on Sunday, October 14 at 12:30 p.m. by Bishop Alexander Salazar, Auxiliary Bishop of the Archdiocese of Los Angeles. Archbishop José H. Gomez will be attending the canonizations in Rome along with the more than 100 pilgrims traveling from Los Angeles. An image of Blessed Romero will be present during the Masses. Photographs and second-class relics of the Archbishop of San Salvador, who was murdered by death squads on March 24, 1980 while celebrating the Eucharist in the chapel of the Hospital of Divine Providence in San Salvador, will be the highlights at a special chapel dedicated to the soon-to-be saint. The official beatification and canonization of Archbishop Romero and of Pope Paul VI was announced by Pope Francis on May 19, 2018, during a meeting with cardinals based in Rome, known as consistory. 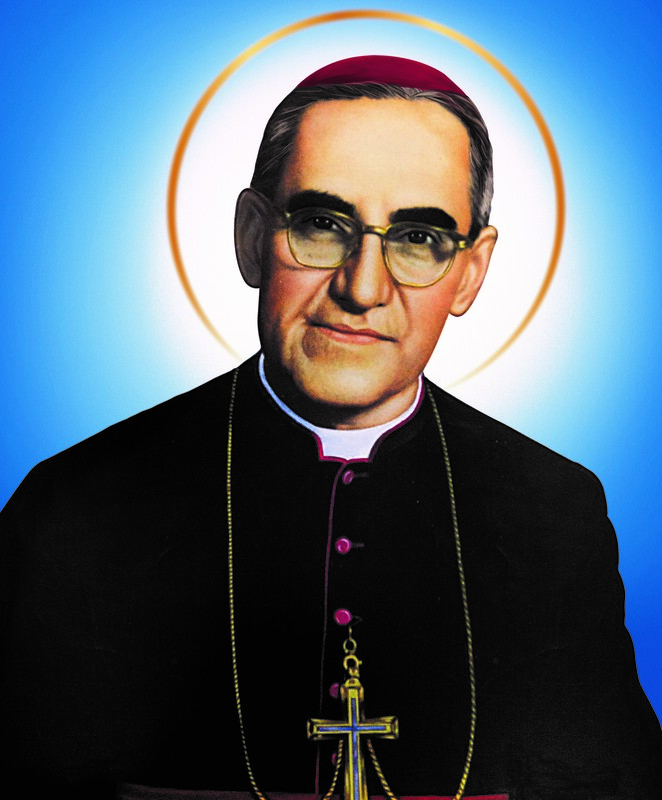 Blessed Romero was named Archbishop of San Salvador by Pope Paul VI. The cause for Blessed Romero, who thousands in Latin America have considered a saint since his murder, had been stalled due to controversies about his vocal denunciations of government killings and kidnappings during the 12-year civil war in his native El Salvador. More than 120 parishioners from different parishes in the Archdiocese of LA are traveling to Rome to attend his canonization, including 50 from St. Patrick Parish (6160 Cartwright Ave., North Hollywood, CA 91606) and more than 50 from St. Thomas the Apostle Parish (2727 Pico Blvd., LA 90006) together with El Sembrador Network Ministry. – Blessed Paul VI, Pope, was born Giovanni Battista Montini in 1897. He died at the papal residence of Castelgandolfo on August 6, 1978, after being Pope for 15 years. At a General Audience on March 16, 1966, he explained that “holiness is within everyone’s reach” and that we only need two elements in order to become saints: “the grace of God and good will”. He had the task of closing the Second Vatican Council in 1965. –Blessed Francesco Spinelli, diocesan priest, founder of the Institute of the Sister Adorers of the Most Blessed Sacrament (1853 -1913). Don Francesco was born in Milan, Italy, and was ordained a priest on October 17, 1875. On December 15, 1882, together with Caterina Comensoli and two other sisters, he founded the Institute of Adoring Sisters, in Bergamo. – Blessed Italian Vincent Romano, diocesan priest, parish priest (1751-1831). Born in Torre del Greco, near Naples, Italy, and ordained a priest in 1775, Father Vincent Romano was parish priest of his hometown for 30 years. He devoted his life to educating children and caring for the needs of workers and fishermen, including coral fishermen. His motto was “Do good”. – Blessed Maria-Katharina Kasper, founder of the Institute of the Poor Servants of Jesus Christ (1820-1898). Born in Dernbach, Germany, in a poor peasant family, she was attracted very early to a religious life. She persuaded the bishop of Limburg to open a small house dedicated to the poor and began a monastic life there with some sisters, founding a congregation devoted especially to education. – Blessed Nazaria Ignacia of Santa Teresa de Jesus (1889-1943), in the century Nazaria Ignacia March Mesa. Born in Madrid (Spain) and died in Buenos Aires (Argentina), she is the founder of the Congregation of Sisters Misioneras Cruzadas de la Iglesia (Cross Missionaries of the Church). – Blessed Nunzio Sulprizio (1817-1836), a young Italian lay person. Born on April 13, 1817, in Pescosansonesco, Blessed Nunzio Sulprizio was an orphan who lived with a very violent uncle who beat him. Because of this violence, the young craftsman of Naples suffered from a wound in the leg, earning him the nickname “the little saint lame.” In spite of his illness, the young man assisted the other patients. He spent the last two years of his life at Naples’ hospital for the incurable where he died on May 5, 1836, at 19 years of age. –Mass in Rome at the Basilica di San Clemente al Laterano, celebrated by Fr. Nicolas Sanchez, pastor of St. Patrick Parish (6160 Cartwright Ave., North Hollywood, CA 91606). Fifty parishioners are traveling to Rome to attend the canonizations. –Canonization reprise – 2:30 p.m. – 5 p.m. Immaculate Conception Parish, 1433 James W. Wood, LA 90015. –Altar and photo exhibition on the parking lot; all masses will exhibit a photo of Blessed Romero, and children will receive an activity book of the life of the martyr – 8 a.m. – 3 p.m. Our Lady of Loretto, 250 N. Union Ave., LA 90026. –Projection of the canonization in Rome, and how the moment was lived by the faithful in El Salvador and LA. Mural exhibiting the life and work of San Romero de América in the parking lot – 8 a.m. – 3 p.m. Our Lady of Loretto, 250 N. Union Ave., LA 90026. For the official biography of Blessed Romero, please visit http://www.romerotrust.org.uk/who-was-romero.